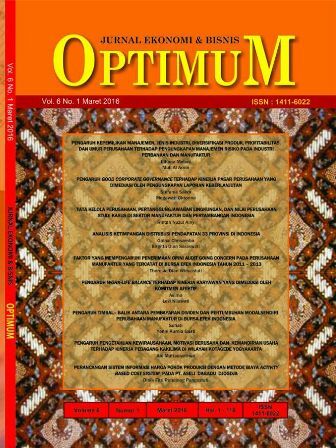 HUMANITAS: Indonesian Psychological Journal is an open-access journal and peer-reviewed journal that publishes empirical quantitative research and/or qualitative research on psychology and other fileds that relevant. 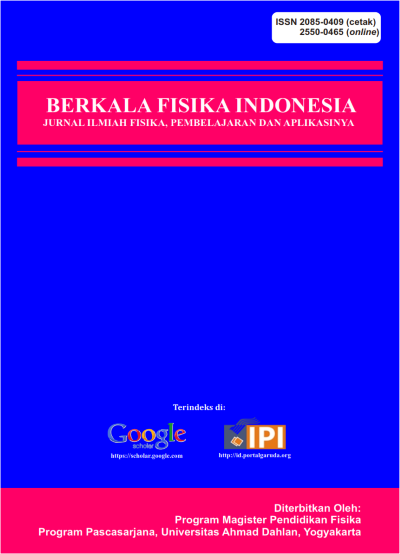 This journal is had been indexing on Google Scholar, ISJD, IPI Indonesian Publication Index and Portal Garuda Dikti. In 2016, HUMANITAS had been indexing "B" by Direktur Jenderal Penguatan Riset dan Pengembangan Kementerian Riset, Teknologi, dan Pendidikan Tinggi (DIKTI) based on Surat Keputusan Direktur Jenderal Penguatan Riset dan Pengembangan Kementerian Riset, Teknologi, dan Pendidikan Tinggi Number 36a/E/KPT/2016, date 23 Mei 2016. In 2018, HUMANITAS had been indexing "Sinta 2". 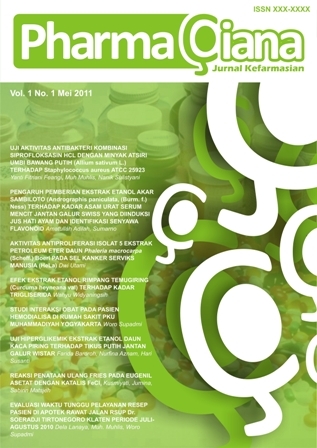 HUMANITAS published twice a year, on February and August by Department Psychology Universitas Ahmad Dahlan. HUMANITAS is available in printed-out (ISSN 1693-7236) and electronic version (ISSN 2598-6368). Journal of Educational, Health, and Community Psychology (JEHCP) published an article, and empirical study that have originality, novelty and fill the gap of knowledge, that focused on educational psychology, health psychology and community psychology. JEHCP is an open access peer reviewed, multidisciplinary journal that publishes quality studies related to psychology. JEHCP is interdisciplinary in approach, and includes to reports of qualitative case studies, quantitative experiments and surveys, mixed method studies, action researches, meta-analyses, and discussions of conceptual and methodological issues. The field of educational psychology includes the effectiveness of educational interventions, the psychology of teaching, and the social psychology of schools as organizations, motor skills and other psycho-physiological processes; cognitive development involving areas such as problem solving, language acquisition; social, personality, and emotional development; self-concept and identity formation. The field of Health Psychology includes the stress-related ilnesses, the health coping strategy, resiliency, work on health attitudes and behaviour, health locus of control, quality of life in chronic disease, influence of emotion on health and health-related behaviours, psychological interventions in health and disease as well as psychological aspects of prevention. The field of Community Psychology includes research, evaluation, assessment and intervention, and review articles that deal with human behavior in community settings. Articles of interest include descriptions and evaluations of service programs and projects, studies of youth, parenting, and family development, methodology and design for work in the community, the interaction of groups in the larger community, and criminals and corrections. 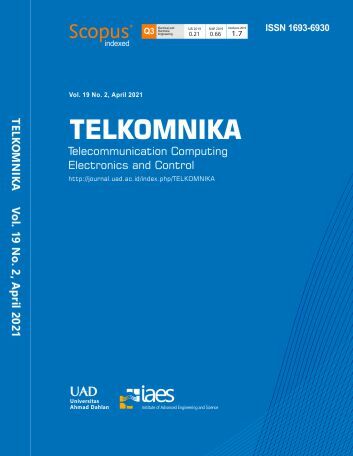 ISSN 2088 3219 (Print)/ISSN 2460 8467 (online). 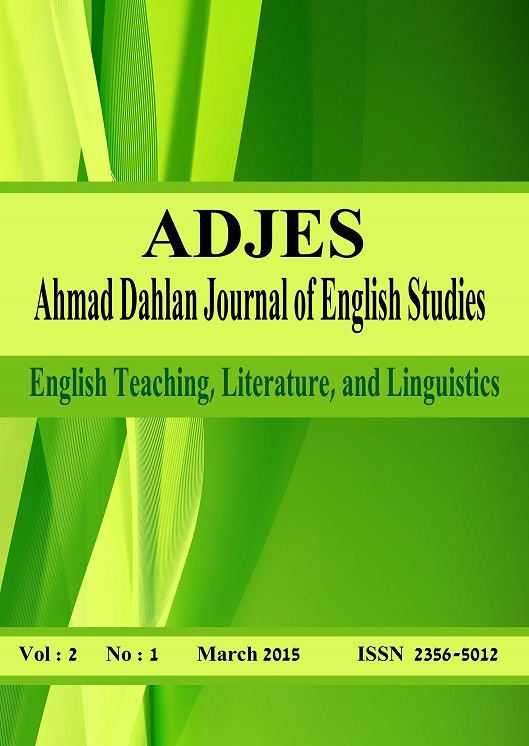 ADJES (Ahmad Dahlan Journal of English Studies), with registered number ISSN 2477-2879 (online), 2356-5012 (print), is a journal which is published by Universitas Ahmad Dahlan. This journal is published twice a year in March and September. We accept mainly research-based articles related to English Language Teaching, Literature, and Linguistics. 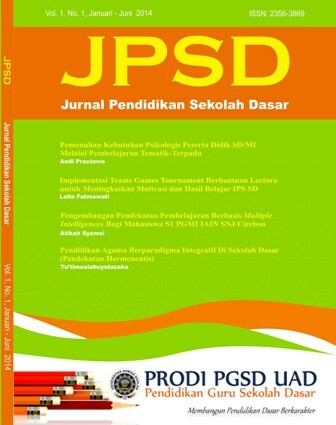 Jurnal Psikologi Terapan dan Pendidikan adalah jurnal yang diterbitkan oleh program pasca sarjana psikologi Universitas Ahmad Dahlan. Menerbitkan karya ilmiah atau naskah publikasi tesis mahasiswa S2 Psikologi UAD yang mencakup bidang psikologi pendidikan, psikologi klinis dan psikologi industri. 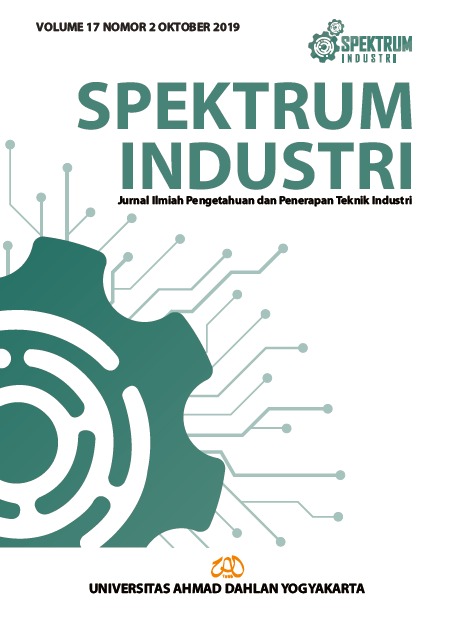 Jurnal Spektrum Industri ISSN 1693-6590(print); ISSN 2442-2630(online) is a media that publish the research manuscript in the science scope related to engineering and/or industrial management both research and theoretical. Manuscript is the result of a literature review will be considered if it is written by an expert. 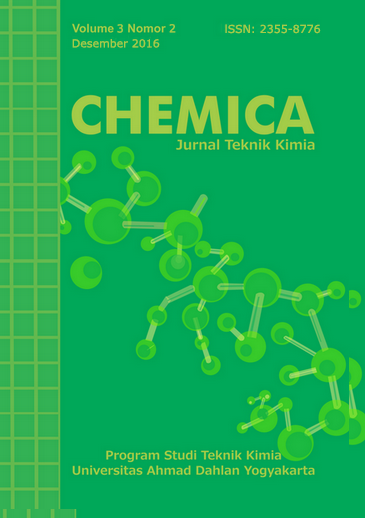 Jurnal Spektrum is published twice a year, namely Aprils and Octobers. Author has to make sure that the manuscript has been prepared using the Spektrum Industri's template following the author guidelines. The manuscript should also have been carefully proofread. Any manuscript which does not meet the author guidelines, or written in a different format, will be immediately rejected. Only manuscript which meets the Spektrum Industri format will be processed further. 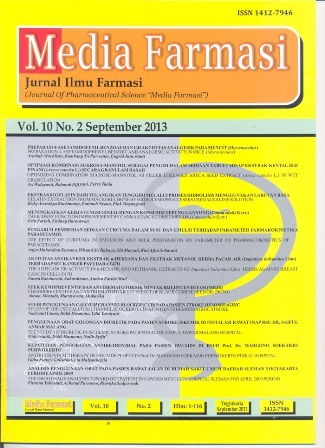 JURNAL OPTIMUM adalah jurnal Fakultas Ekonomi dan Bisnis Universitas Ahmad Dahlan Yogyakarta yang terbit dua kali dalam satu tahun yaitu setiap Maret dan September. 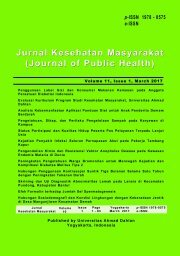 Jurnal OPTIMUM memuat artikel penelitian bidang Ekonomi Pembangunan, Manajemen, dan Akuntansi yang ditulis oleh dosen, alumni, mahasiswa, dan praktisi dalam negeri maupun luar negeri. 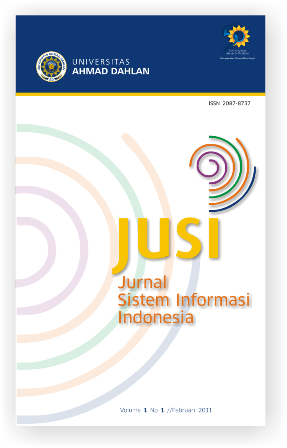 JSTIE (Jurnal Sarjana Teknik Informatika) (E-Journal) adalah jurnal online ditujukan sebagai sarana publikasi dari makalah yang disarikan dari hasil penelitian mahasiswa Teknik Informatika. Jurnal EMPATHY adalah jurnal yang menerbitkan karya ilmiah mahasiswa psikologi Universitas Ahmad Dahlan. Terbit 2 kali dalam setahun. Menerbitkan karya ilmiah ilmu psikologi yang mencakup semua cabang ilmu psikologi yaitu psikologi klinis, psikologi sosial, psikologi perkembangan, psikologi pendidikan, psikometri dan psikologi industri. 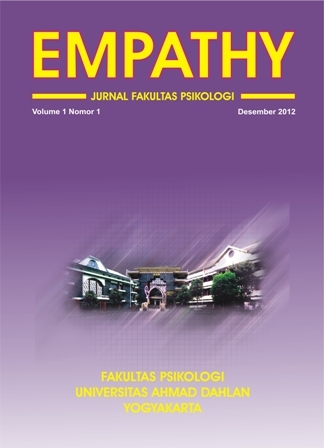 Jurnal EMPATHY telah di index di Google scholar, EMBASE, Portal Garuda, dan PILNAS RISTEK.